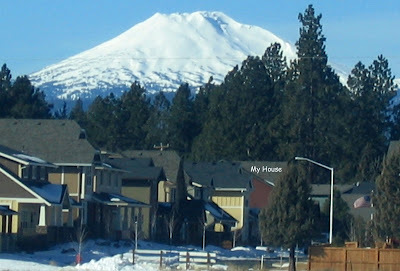 Flashback Friday- "Just Can't Get Enough"
I know you are tired of looking at pictures of Bend, but I just had to post a couple more pictures I took today. The kids are so lucky to have such a nice walk/ride home from school. this is from the parking lot? did you have the super zoom on? I don't get tired of the pictures. I love Bend! I really do miss it. It is so beautiful! It must be nice living so close to the mountains. I love this last spot too. I see the church just barely there on the left. You guys missed out. We used to all be stuffed into that tiny building. We're so happy for the new one, despite the long drive it takes to get there.